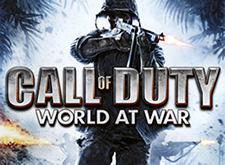 Call of Duty: World at War was released on November 11, 2008. 7 years is a long time in gaming, but it’s especially long for the Call of Duty series, which produces a brand new, big budget title every year. I’m a big fan of the Call of Duty series and have spent many hours playing the games. The zombies mode, introduced in World at War, accounts for a majority of those hours. Most of that was co-op with my brother, Sean. My youngest brother, Trent, joined the team when he was old enough. The zombies mode is such an incredible value-add for the series. I have never, ever felt like I didn’t get my money’s worth out of a Call of Duty game. I spend around $100 for each game. $50 for the game itself, and then another $50 for the extra content they release over the next year. For the amount of time I spend playing zombies alone (putting aside the main game content, as well as online multiplayer), the value I receive for that $100 is immense. I have purchased several games in the series. But I didn’t own a copy of World at War – I always just played co-op with my brother, which you could do together on the same couch with one copy of the game. That changed when I recently purchased a copy of this 7 year old game on Steam for $9.99. Steam is a platform for buying PC games. I haven’t seriously played a game on a PC in more than a decade, but I bought this one. Both of my brothers also bought licenses for $9.99. Why did we buy this old game? Community. When Activision released World at War, they made it possible for anyone to develop custom zombie maps through a modding system. A map is essentially a new zombies experience. A new story, a different location, custom settings and more. This ability to create new experiences led to an amazing amount of community-generated content for the game. After including a modding system in World at War, they have never done so again in future Call of Duty titles. Maybe they felt it was costing them money, that it led to less people purchasing the official downloadable content (DLC). Who knows. But that hasn’t stopped the community. There is an active, thriving community of mapmakers and players still working on creating add-ons for this 7 year old game, for the love of the game itself and the freedom it allowed. They congregate on communities like UGX-Mods, Zombie Modding and ZomMods. The amount of dedication put into these maps is incredible. They haven’t limited themselves to just what was in World at War, they have actually ported artwork, weapons and more from the newer Call of Duty games and brought them back to the older one, in the best representation possible. For example, some customer zombie maps have weapons from Black Ops II, a more recent Call of Duty title, that were not in World at War. This is in addition to custom artwork and other creations. I had stumbled across YouTube videos where people were playing custom maps, and when Trent purchased a new gaming computer, I told him that this was something that we had to look into. He bought a copy of the game first and liked what he saw, so Sean and I soon followed. We’ve played a couple of times already and have had a lot of fun. While some pirating undoubtedly occurs, these communities do push people toward buying the game in big and visible ways. They have increased sales of the software. Is the amount of money enough to move the needle? Maybe, maybe not. But I can say in my case, the existence of these custom maps, created by the community, led to $29.97 in new licenses, money that simply would not have been spent. It did not take away from what I will spend in the future. Official map packs have a level of polish and consistency that is untouched. I’ve already pre-ordered the $199.99 Juggernog Edition of Black Ops III, due out in November, which includes not only the game, but all DLC. I’m super excited for 2015’s Call of Duty, and my brothers and me are still working our way through the zombies story line in the 2014 edition. Even so, we are taking time out to play (and purchase) 2008’s World at War. That’s a lesson in community.